But First, What is a Hashtag? A hashtag is a hash symbol, (also known as a pound or number sign for anyone born before the year 2000), followed by a short phrase. You can use hashtags on social media channels like Twitter and Facebook to track your content, provide entertainment to your audience, and convey specific ideas to your followers. Adding a hashtag to your social media during events is easy. Just add a “#” symbol followed by your hashtag message at the end of your social media post. There are no spaces in a hashtag, and all your words form one continuous hashtag phrase. You don’t need special software or extra add-ons to place a hashtag on all your posts. Just add it to your post like you would any other comment. So why use hashtags in the first place? Hashtags may seem insignificant at first, but they can add real value to your social media marketing especially if are looking to incorporate social media into your event. For example, a SproutSocial study showed that Instagram posts featuring at least one hashtag received 12.6% more engagement than posts with no hashtag. Another article by Inc.com tells us that tweets with one or more hashtags are 55% more likely to be retweeted. Those are impressive stats. Because of the potential power they hold, hashtags can and should be an integral part of your plan, especially when using social media at events. At any point, you can track the activity surrounding your hashtag by searching it by name in your social media accounts. All the activity featuring your hashtag will appear in your search results so you can see your related content. You can also use software and tools to track and measure your hashtag stats across all your accounts. No matter which method you choose, it’s important to monitor your hashtag’s performance so you can respond to questions, generate content, and capitalize on the momentum you create. Now that you know how to add a hashtag to your social media posts and track your traffic, here’s how hashtags can be a part of your social media during events. Sounds pretty good, right? 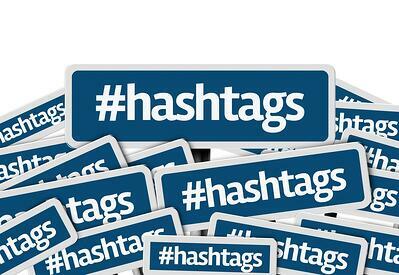 Hashtags can help you achieve your event goals, regardless of your venue, audience, or theme. -Promote Your Hashtag Everywhere – Before your event, include your hashtag on your promotional material, website, and emails. During your event, display your hashtag everywhere, so your attendees know what to use for their social media posts. -Feature Your Hashtag on Event Feeds – Premier event-app providers, like MeetingPlay, give you the capability to use activity feeds for your events that function like traditional social-media platforms. Attendees can post, share, and like content during your event directly from their mobile event app. You can even feature content based on featured hashtags using TVs and social display walls throughout your event. You can read more about activity feeds for your event here. -Use Hashtags to Elicit Feedback – You can use your event hashtag, or even custom hashtags, to ask for feedback from your attendees. For example, you can use a hashtag like #EventFeedback to find out what is working at your event, and what might need some improvement. You can use this information to make changes on the fly and to improve future events. -Promote Your Sponsors and Vendors – Your stakeholders can have their own hashtags as well. They can use these hashtags to highlight their products, services, or event specials. You can even offer paid options to your vendors and sponsors to have their hashtags featured on your activity feed and social walls for more exposure. -Follow Up With Your Attendees – The fun doesn’t have to end once your event is over. Your attendees can use your hashtag on their personal social media accounts to create content related to your event, as well as share their wonderful experiences. Hashtags are the perfect marketing tool to help you engage your attendees, create meaningful content, promote your sponsors, generate buzz for your event, and gather valuable insight into the minds of your attendees. So, what does it look like when you put a hashtag to work at one of your events? Before your event kicks off, you start using it on your emails, your event webpage, your social media campaign, and all your promotional material. Your hashtag is catchy, so within a week, everyone is talking about #StandUpToSittingDown and buzzing with anticipation over your event. During your event, you post your hashtag everywhere. Your attendees use it when they post content on your event app activity feed. You have large TVs all around your venue displaying posts that feature your hashtag. Your vendors and sponsors also have hashtags, which your attendees can use to talk about interesting services and products. Some sponsors have even paid you to feature their hashtag feeds on your social wall monitors. The social walls are a huge success, and everyone is clamoring to see their content, as well as the content from other attendees, up on the big screens. After your event, your attendees continue to use #StandUpToSittingDown on their personal social media accounts as they highlight their healthier lifestyles and the tips they learned from your event. One simple hashtag has launched incredible momentum for your cause. 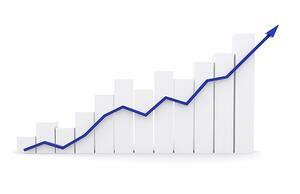 Your event was a huge success, and the momentum you created carries over to future events. But is it possible to have too much of a good thing? So now that you’re all worked up and excited about using hashtags every chance you get, we need to pump the breaks a little. There are some hashtag best practices you should know about so you don’t overdo a good thing. 2. Try to Create a Unique Hashtag – There are a lot of hashtags out there. If you want to stand out, try to create a hashtag that hasn’t already been used by another campaign. A one-of-a-kind hashtag will also help you avoid jumping on a topic that you weren’t aware of that may conflict with your event goals. Try a tool like Hashtagify to find unique and interesting hashtags for your event or campaign. 3. Make Your Hashtags Relevant – Make sure your hashtags are meaningful and related to your marketing goals. Create hashtags related to your products, your services, a promotion, your product benefits, your business identity, or a unique idea. While it may seem tempting to create a hashtag with the sole purpose of driving traffic, like #CatVideos, it will do more harm than good in the long run. Don’t mislead your audience. Deliver on the message that your hashtag promises. 4. Use Different Hashtags for Each Campaign – Hashtags are an easy way to follow the traffic, comments, and reach for a specific topic. When you create a unique hashtag for each of your marketing campaigns, you label your social media with a trackable tag. All you need to do is search by your hashtag to see the activity for each separate campaign. 5. Keep Your Hashtags Short and Memorable – Think of hashtags like a tagline. You want it to be catchy, short, and memorable. A hashtag like #StickyTags2018 is a lot more memorable than #TheSalesAndMarketimgAlliancePresentsHashtagBestPracticesAndUses2018. 6. Use One Hash Per Hashtag – #Never #Use #A #Hash #Symbol #For #Every #Word #In #Your #Hashtag. Breaking up your hashtags with individual hash symbols only confuses your followers and destroys your message. 7. Capitalize First Letters for Readability – If your hashtag features more than one word, consider capitalizing the first letter in each word to make it easier to read, and to clarify the message. Capitalization can be the difference between #PlusHeaters and #PlushEaters, so make sure your audience knows what you’re trying to say. Hashtags are powerful tools that can help you transform your events and connect with your audience. But don’t abuse your power. Make your hashtags unique, powerful, simple, and meaningful. There’s no need for gimmicks or tricks. Set up your hashtag and let your content and skills do the rest. Now that you know how to create an effective hashtag, it’s time to incorporate social media into your event. Use hashtags to engage your audience, create buzz, add value for your stakeholders, and create an unforgettable event. You can enhance the power of your hashtags even further when you use a custom mobile app for your event. Contact us today for more social media ideas for events and to learn about our innovative technology and white-glove customer support.